Ships from and sold by biblestore. eye-opening how a polymer clay can be transformed with unusual techniques (and combinations) by skilled artisans. Under Aimone's remarkable tutelage, polymer clay, called PVC here, becomes Italian millefiore beads, shiny abstract cuffs, intricate log-cabin quilt pins, and even calla lily-like earrings. 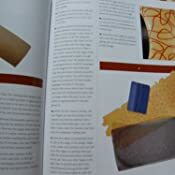 Although other instructional polymer clay books exist, up to now all have focused on basic shapes and elemental design. The 14 selected artists do themselves proud by creating 33 items worthy of display and sale in any fine jewelry store. Instructions are complete, with enough visuals to follow. And the pages upon pages of galleries showcase the beauties of a once-modest material. Polymer clay has been seen as a "craft" medium for some time. In the past few years, polymer clay has begun to receive recognition as a true art medium due to the exceptional work of very talented artists. Some of these outstanding artists have come together to both showcase their work and provide lessons on creating some very beautiful pieces. 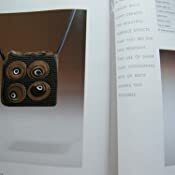 What is nice about this book is that it shows that even simple techniques can produce high-quality work. The techniques range from very basic to very complex (the cover art shows one of the more complex pieces). However, the eye for design, form and function enable us to envision our own work at this level. It's clear that all of us are capable of creating unique, beautiful and artistic pieces from polymer clay. This book will help us all get there. You shouldn't pass this book up. It's a book that I'll reach for over and over for both inspiration and instruction. Great book! I love what I can learn from this. Good detailed, clear information on how to mix clay colors and make designs. I love this book and refer to it all the time. 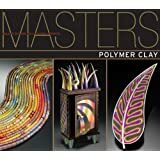 Although the instructions are not as detailed as might be desirable for a beginner, there are numerous techniques discussed with enough general instructions provided for the intermediate or advanced polymer artist; many I'd never seen before. The book has really inspired me to try new and previously unknown techniques. I highly recommend it. These projects are very beautiful and very complex. I am still not ready to work at this level. If you are I applaud you. This is a book with specific projects and step by step instructions. Good luck the results are extremely professional. Top-notch photography, excellent craftsmanship of examples, and elegant graphic design are always hallmarks of Lark Books. 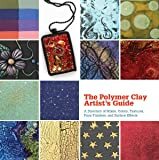 This book gives quite good instructions for those who would like to re-create or simulate some of the projects listed by well-known names in the polymer clay field. But it's also tasty eye-candy in its own right, and provides lots of encouraging inspirational nudges for those of us relatively new to the art. 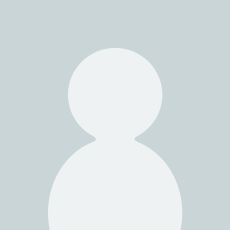 That it IS an art, is amply demonstrated by this volume. 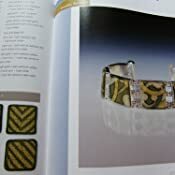 I have never written a review before but after reading The Art of Jewelry I had to jump online and tell the world just how wonderful it was to have a book that was not to basic and not to advanced. If you have been playing with clay for a year or more this book will help you elevate you work. If you are brand new to polymer clay you might want to start with "The New Clay" by Nan Roche. 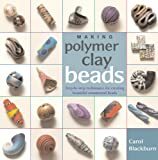 Another AMAZON book on Polymer Clay with instructions on the use of this great material with many ideas on not only how to use it but great projects to make with it. I love collecting the books AMAZON offers on this subject as they give me great pleasure to read. Great book. AMAZING work inside this book. 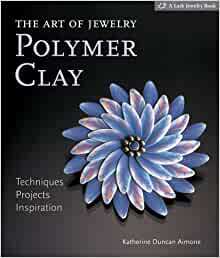 I'm new to Polymer clay and it is great to have a book like this to inspire you and help you reach your own potential. I have purchased other books but, this is among my favorites.